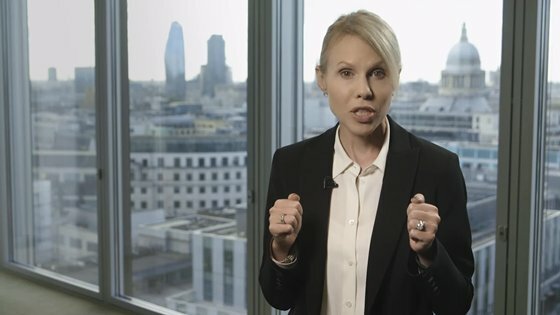 Samara Cohen tells the real story about the impact of ETFs on capital markets. 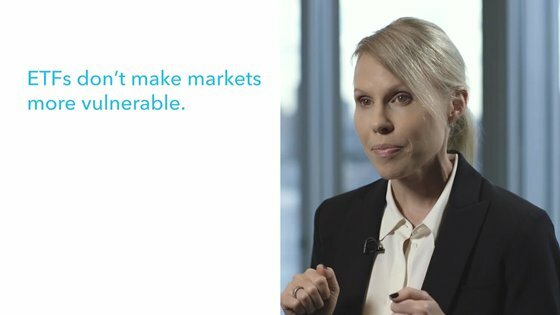 Video: Samara Cohen tells the real story about the impact of ETFs on capital markets. 1. ETFs aren’t taking over the market. It’s true that ETFs have grown, but they still represent a drop in the bucket of overall market assets. U.S. stock ETFs accounted for just 8.5% of the total market as of the end of June 2018, according to data from SIFMA, Bloomberg and BlackRock. In other words, more than 90% of the U.S. equity market is made up of individual stocks, mutual funds and non-ETF investment vehicles. The ETF imprint on bond markets is even smaller, accounting for 1.4% of the total U.S. bond market. 2. ETFs don’t drive the direction of stock or bond markets. ETFs don’t actually own the assets they manage; investors do, typically tens of thousands of individuals and institutions in each fund. Each one of these investors represents a decision of how to invest his or her capital, based on personal factors such as risk tolerance, investment goals and market views. ETFs are just one lever that investors can pull to buy or sell a stock or bond. They can also use single securities, actively managed funds and futures. ETFs are popular because they’re a cost-effective, transparent way to gain exposures. But if there were no ETFs, investors would just use different vehicles (and many do). 3. ETFs don’t make markets more vulnerable to shocks and bouts of volatility. ETFs have repeatedly proven themselves to be “shock absorbers” in stressed markets. Investors turn to ETFs for real-time pricing in times of uncertainty, including during the high-yield bond selloff of 2015, or in February 2018. Increased demand is reflected in increased trading volumes because buyers and sellers use ETFs to rapidly transfer risk. The fact is that ETFs have been good for markets and are useful to investors. That’s why millions of people use ETFs to seek greater control over their financial health and well-being.